The acquisition of customers is extremely competitive nowadays, so you should ensure a full quality service for clients even after the order payment. Wrong address deliveries are exactly those post-purchase shortcomings that cause additional expenses related to repeated deliveries, negatively impact on the customer experience, and finally affect sales. 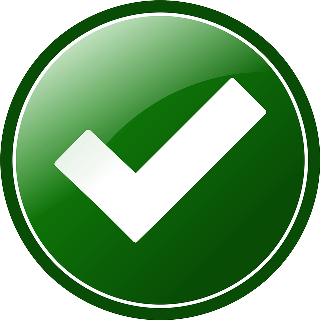 The UPS/USPS Address Validation extension automatically validates shipping addresses provided by customers and suggests correct alternatives verified through the UPS and USPS address data bases. It allows you to avoid negative consequences of typos, misspelling, or just negligence. As a result you considerably reduce the number of wrong address deliveries and get other associated benefits. 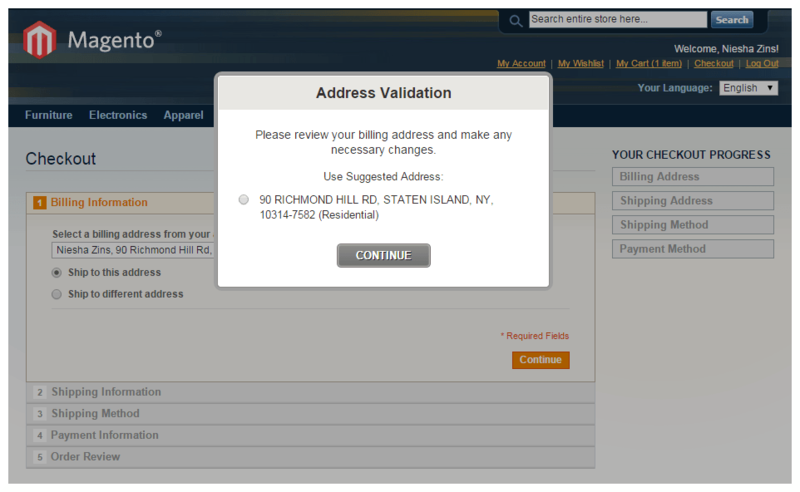 The address validation is carried out automatically each time customers enter shipping addresses. You should configure the module only once and then just let it do its job. Preferred address options taken from the UPS and USPS databases are suggested to customers in ad hoc pop-ups as verified alternatives to doubtful address details. Still, extension does not strictly prohibit customers to use their own shipping addresses. If new addresses are yet not recorded in the bases, customers are able to choose their alternatives. For this purpose you should enable the “Allow invalid address checkout” functionality in the General configuration section. 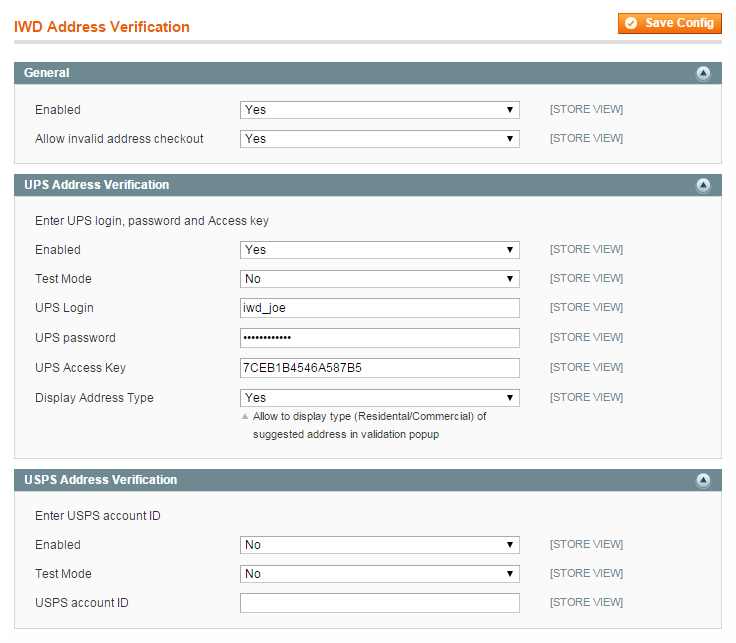 Enable UPS or USPS Magento address verification and provide corresponding account credentials. Note: You can only use one address base (UPS or USPS) at a time. *Source: Christmas 2012 Online Shopping Survey by Econsultancy. Using the UPS/USPS Address Validation extension together with the below Aheadworks products, online merchants get more valuable insights. We have many products in my store and their names are quite hard. 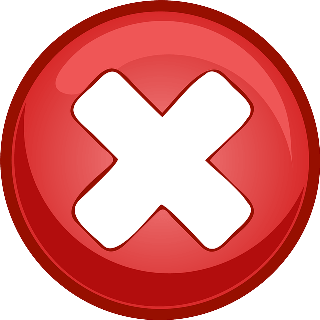 After some research we found that we lost a number of potential customers because they couldn't find what they wanted. And the reason was typos and spelling mistakes. This module saved us!